ADVANCING OPPORTUNITY. The annual CAO Summit is wrapping up today in Washington, DC. A program of the Thurgood Marshall College Fund whose membership includes public HBCUs, the Center for Advancing Opportunity is focused on solving the problems that prevent opportunity from reaching people in what they call fragile communities. Reforming the prison system, education, AND economic opportunity fueled the discussion among the diverse array of HBCU scholars, college presidents, foundation execs and leaders of color. And not only do those assembled agree that education opportunity is crucial to helping low-income students rise above where they are, but CAO surveys confirm that their families understand its value. Her research also shows that the attainment effects for students in school choice programs are huge. 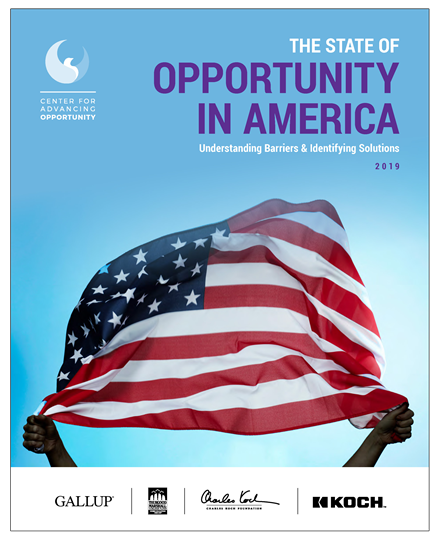 CHECK OUT CAO’s just-released exhaustive study on “the state of opportunity in America,” surveying more than 5,700 residents in areas with high proportions of poverty in 47 states. FACTS MATTER. Another reputable academic institution has proven that education opportunity yields advantages by leaps and bounds for students who have access. A study by the Department of Education Reform at the University of Arkansas looked at differences in cost-effectiveness and ROI between traditional public schools and charters in 8 major cities. Among the findings: charters yield more learning per education dollar — on average 53 percent greater than for their traditional counterparts. Also, each dollar invested in a charter school student student yields 45 percent more in lifetime earnings than traditional students. Take those facts to your next school board meeting — or teacher walkout. CITY OF ANGELS NEEDS A FEW. An astonishing report shows that less than half of Los Angeles Unified School District seniors have grades that make them eligible for California’s public universities. Since eligibility is not exactly a high bar, requiring completion of college prep courses with Cs or better, this is particularly damning. Cs. In other words, they demonstrate mediocre education, at best. Earth to Governor Newsom — do you really want to stop those charters which retain and graduate more successfully? When will reason prevail? BI-PARTISAN INNOVATION AND OPPORTUNITY. We have previously reported and recognized the stand-out support for opportunity demonstrated in the past by Senator Cory Booker. Now it turns out, Texas Congressman and the new, famous Presidential candidate “Beto” O’Rourke also has been supportive. And once again, New York Governor Andrew Cuomo is voicing his support for more charter schools in the Empire State. This is a tough trifecta for the “charters are a Republican plot” crowd to get around. But then, as the nation’s oldest and leading authority on education opportunity and innovation whose leadership represents all sides, we knew that. ONE STOP FOR EDTECH AND EDUCATION INNOVATORS. Did you get a chance to listen to Jeanne Allen’s Reality Check podcasts from the ASU+GSV Summit last week? 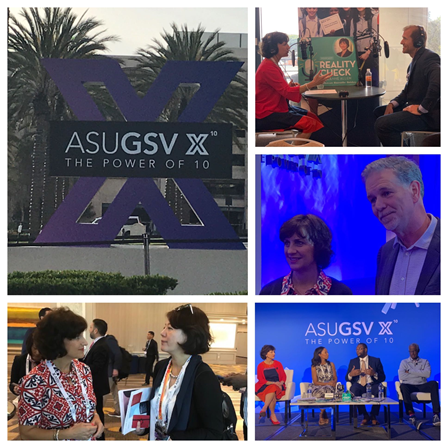 The summit itself was an amazing three days where over 4,000 attendees - innovators, edtech leaders, educators, investors, and philanthropists explored innovations in education both here and around the world. Jeanne sat down with a dozen of the crème de la crème at the summit to pick their brains. They are power-packed interviews – give a listen. JANUS? WHO’S JANUS? The language and logic of the “Janus” decision couldn’t have been clearer – public employees can’t be forced to join a union or pay “fair share” dues. But the unions are apparently slow learners. Teachers in California are suing to force teachers unions to stop deducting dues, and unions in New York are erecting a Kafka-esque maze that has to be navigated in order for workers to escape the unions’ tentacles. We wonder what lessons these slow learners – heck, scofflaws – think they are teaching our kids, especially when this newswire makes clear that the status quo isn’t exactly killing it. That’s it for this week. 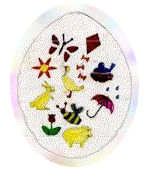 We hope you enjoy these weekly tidbits, and always welcome suggestions, critiques, ideas ( no matter how wild or off the wall ) to make these better. Drop us a line. FROM ALL OF US AT CER, BLESSINGS FOR PEACEFUL AND FAITH FILLED HOLY DAYS.